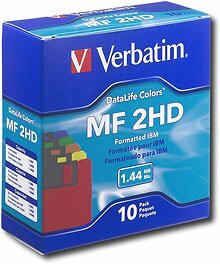 Verbatim Floppy Disks (10-Pack) - Multicolor by Verbatim at Andy Pemberton. MPN: 23942962113. Hurry! Limited time offer. Offer valid only while supplies last.